I haven't hodgepodged in a while but question 4 made me think of a cartoon I recently saved so here we go. Check out Joyce's post here if you'd like to join in. Drinking water. Not just drinking 8 glasses of water but drinking water period. I can go all day without thinking about it. 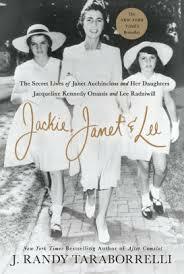 I enjoyed Jackie, Janet & Lee by J. Randy Taraborrelli. I enjoy the genre and read a couple a year. It's very important for me to keep a clean house. Clutter drives me up the wall. We have a lot of things but they are all in their place. I could do with more kitchen storage so a larger kitchen is definitely high up the must-haves when we search for our forever home. I love Christmas and I could take on any of these. Well, maybe not Carol, The Voice I'm not. I'm more outgoing than I ever thought I could be. I suppose it's the nature of the military life - every time we move, I have to get out there and meet people. I never thought I would be one to go to a spouse event cold turkey (I always had the benefit of a toddler in tow in our early Navy life - nothing like a child to help you start a conversation!). Now, it's get out there and mingle. It helps that military spouses are armed with some great conversation starters - how long have you lived here, where did you move from, is your husband on shore or sea duty? 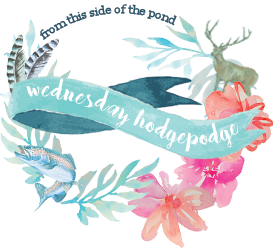 Welcome back to the Hodgepodge. 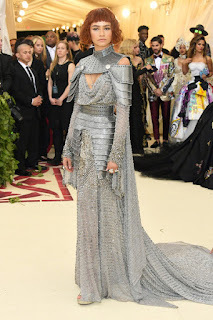 I just couldn't come up with anything. I can't quite imagine not thinking of drinking water. I tend to exceed the eight glasses every day, but then I also don't drink sodas, coffee, or other drinks. My mother-in-law is the same way with water, and has had to go to the ER twice because we thought there was a heart issue, but turns out she was just a little de-hydrated. A trainer once told me to put eight glasses (or however many) on the counter in the morning as a reminder. Might be worth a try. Have a great day! Yes! Until I started bringing my Yeti cup to work, I also struggled with drinking water. We buy bottled water at Costco and to remind myself to drink it, I set aside 4 bottles in the fridge to drink for that day. I don't always do it, but it does help me to think about it. I also drink a ton of unsweet iced tea all day every day. This was a great post! Pamela... I put Jackie, Janet, and Lee on my reading list per your recommendation! Have a wonderful week. I'm the same way about water. I have to really remind myself to drink some each day.